We would like to have some students to develop NethServer, this summer. We already had some “local” students in the past, but this year we hope to go through GSoC (https://summerofcode.withgoogle.com/) to widen the base. I’d like to focus on the “school” theme: students working on a distribution used by schools, students developing the tools that they use, one of the core concepts of software development (the itch to scratch). @dev_team will list project development ideas on a dedicated page. Is anyone interested in helping me with the answers? There’s a limit of 1000 chars per answer. If you volunteer to be a mentor, please join this thread. @filippo_carletti, do you have a template to submit the project proposals? @filippo_carletti, just as a tip. If you add " ‘simpleSignUpLink.shown’ => false, " then you don’t get that commercial offers link to nextcloud.com in your downloadlink pages. This is the exact continuation of my talk and my involvement in this community, make growing the community of developers. Following them closely, the student will be in touch all along their sprints by a team chat instance, allowing them to ask and receive immediate support(the Timezone is Italia). Setting well defined targets in accordance with the student’s skills and affinities. Splitting ambitious projects in smaller chunks following the agile methods. Our community is inclusive and friendly, we do have the culture of mutual help and we encourage people to be involved. 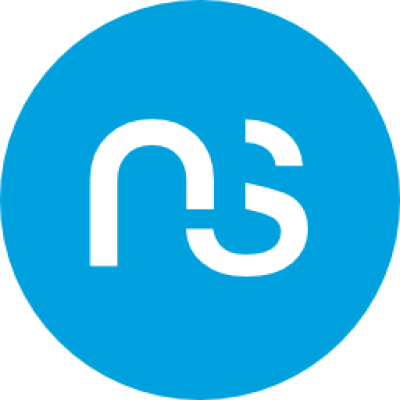 The nethserver community is organised by teams project (supports, translations, developers, educations), the student will be accompanied in his learning curve. Great initiative. I hope our @education_team (don’t hesitate to reply in this thread if you want to help) wants to help applying and organizing this major opportunity for the NethServer project. Please provide more ideas by opening a PR! Google Summer of Code with NethServer. Contribute to NethServer/GSoC development by creating an account on GitHub. I’ve completed the application for NethServer. We have time to adjust details until tomorrow evening (CET). We should improve the project ideas page. We want first to create a sane friendship relation in both ways, we hope they will feel attached to their project and will desire to continue to support it. We have a strong culture of free software development, our developers are deeply seeded inside open source, this will be for the students a huge experience to realise how the development interfere with a community and how their code can bring positive changes for non profits or educational associations. Thanks @stephdl, I’ve updated the application. Thank you for applying to be a Google Summer of Code 2019 mentor organization. Sadly, we were unable to accept NethServer this year. We had many more applications than available slots. We hope you will apply again in the future! The GSC 2020 will be announced somewhere mid November 2019. That’s a pity. Thanks for trying out.